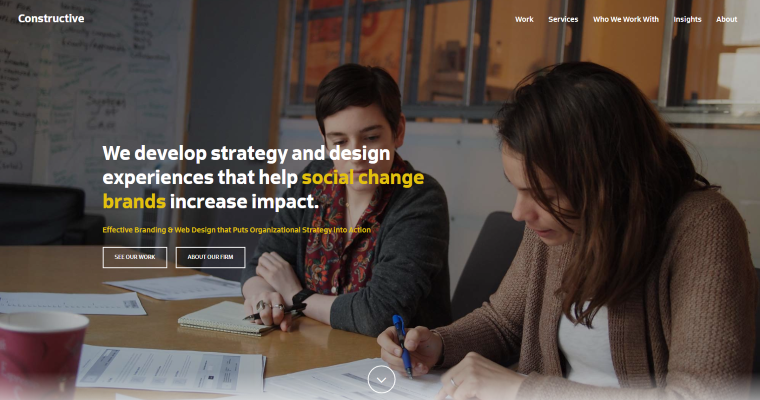 Constructive is a social impact design agency that specializes in helping nonprofits and foundations accomplish their mission. 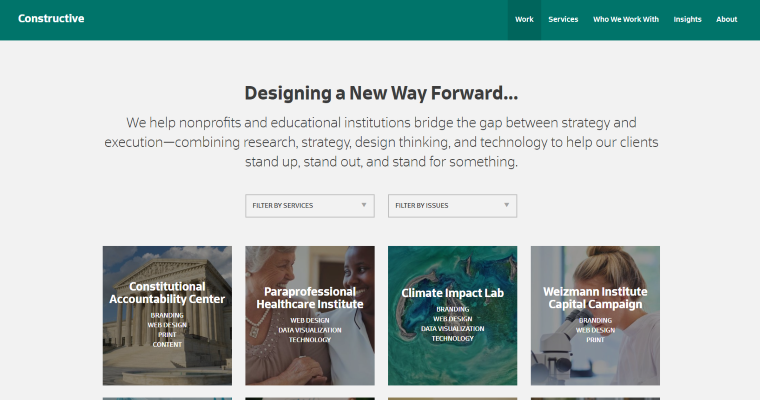 Generally speaking, they serve their clients by designing custom brand experiences. The firm shares insights into its unique capabilities by presenting online webinars. They do that because they are interested in helping people more than earning profits for themselves. Of course, Constructive hopes that by demonstrating their expertise they can inspire the confidence of prospects. In many cases, this tactic leads to warm, trusting, mutually beneficial relationships that generate long-term results. Constructive understands the needs of special organizations because the professionals who staff the company have real-world experience in those environments. 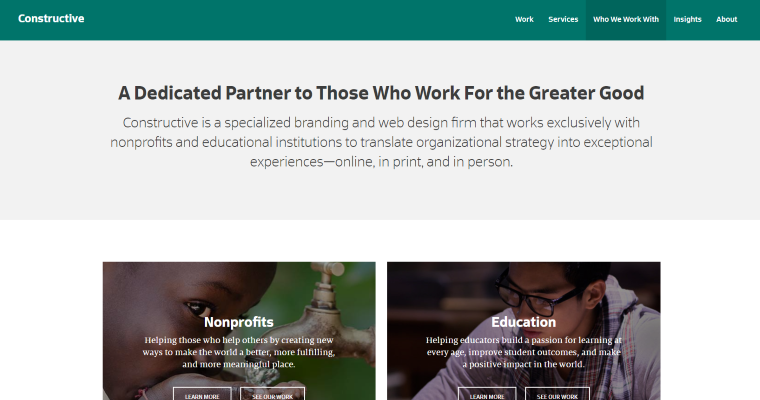 In addition to branding, Constructive provides services such as website design. Dedicated in-house teams have the knowledge and skills needed to create secure, responsive sites that engage end users. Additionally, the firm provides content creation services that enhance website performance.